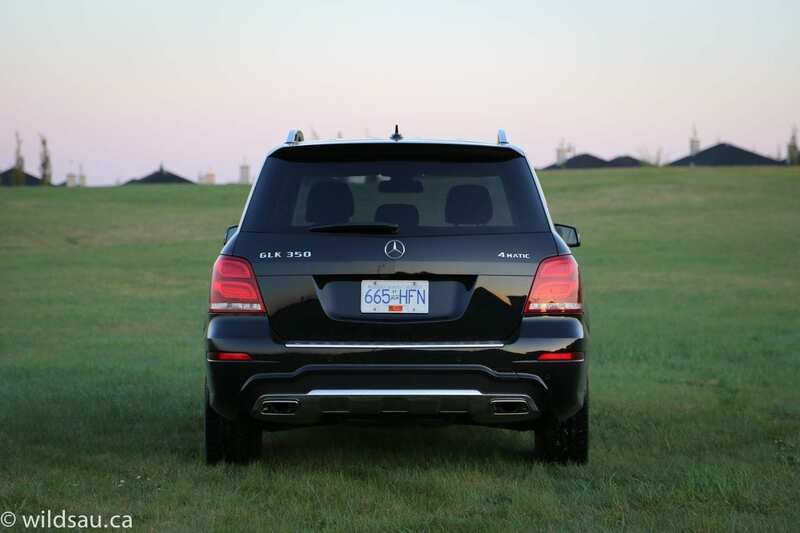 The Mercedes-Benz GLK 350 is an odd duck to some, and a tall SUV/wagon that just makes sense to others. The new 2013 model makes evolutionary changes inside and out, and they’re basically all good ones. You’ll find a subtle but effective facelift, a cabin that certainly comes across as more luxurious and upscale, and some changes under the hood as well. Though it looks familiar at first glance, the 3.5-litre V6 is updated. Mercedes has added direct injection which makes for a significant bump in power (302 horsepower at 6500 RPM) as well as in fuel efficiency. The aluminum mill is rated at 274 lb.ft of torque at 3500 RPM, which is also an improvement. 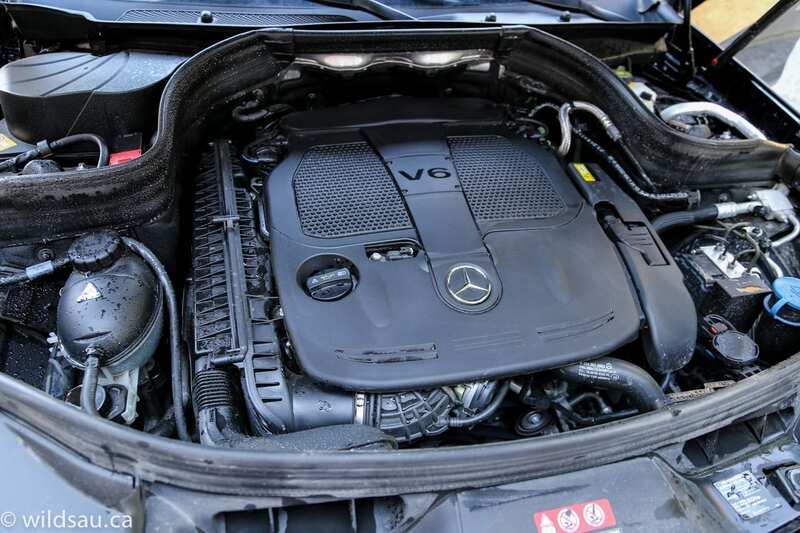 The 7-speed automatic sends the power to all four corners via Mercedes’ 4MATIC permanent all-wheel drive system and everything works in concert to shove this 1845 kg (4067 pounds) box around town. Fuel efficiency was one of several complaints that buyers of the previous generation had. 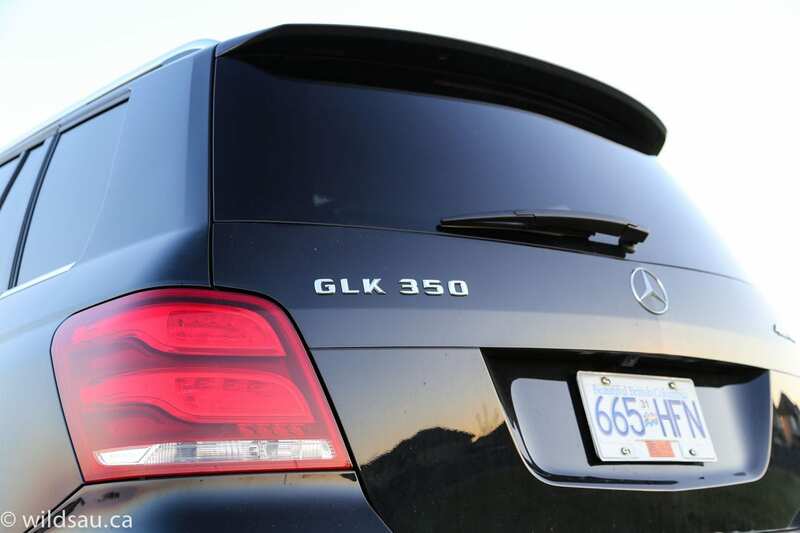 It’s improved with the new GLK. 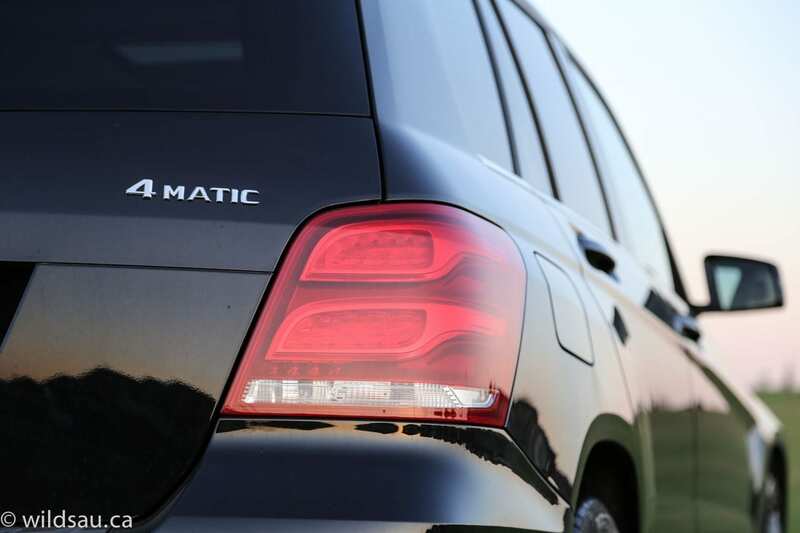 Fuel economy is rated at 11.1 L/100 km in the city and 8.1 L/100 km on the highway. I spent most of my week with it commuting – slow city driving, occasional freeway trips, one sprint down the highway – and averaged 12.2 L/100 km (19 mpg) – not great but not terrible considering what kind of vehicle this is. It has a 66 litre tank. 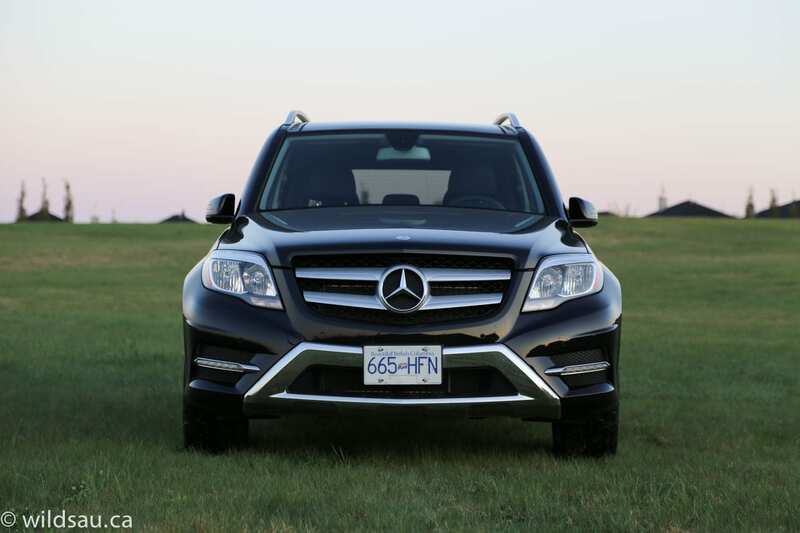 The GLK’s exterior has seen a refresh rather than a restyle. The major styling cues remain – a very upright windshield, short wheelbase on a long, tall wagon-like SUV and a boxy set of lines all around. The shape has always appealed to me, but I found it to be quite polarizing with onlookers. It’s a bit of a love it or hate it shape. The new chin sports a mass of chrome that might be accused of looking like a skidplate, there’s a wide strip of LED driving lights across the front side intake openings, the tail pipes are now wider (and more flattened) and there are other little nips and tucks to be found. Anyway, sometimes it’s nice to see a departure from the smooth, flowing curves and lines that are so commonplace now. I like that Mercedes, a manufacturer that is capable of pulling off those smooth lines, took a step in a different direction with the GLK. One of the biggest issues with the previous generation of GLK was the interior. It simply didn’t say luxury. Actually, it barely even tried whispering it. I think that Mercedes has done a bang-up job with this refresh. The interior has been brought up to current luxury standards. The materials are very nice – the short dash and upper door panels are soft-touch plastic, and the middle of the door panels are upholstered in stitched leather-like material. I wasn’t a huge fan of the weird texture on the aluminum trim that makes its way around the dash, but it’s not terrible. Headroom is outstanding, even though there is a dual-pane sunroof overhead. The front panel tilts and slides back – the rear panel is stationary. 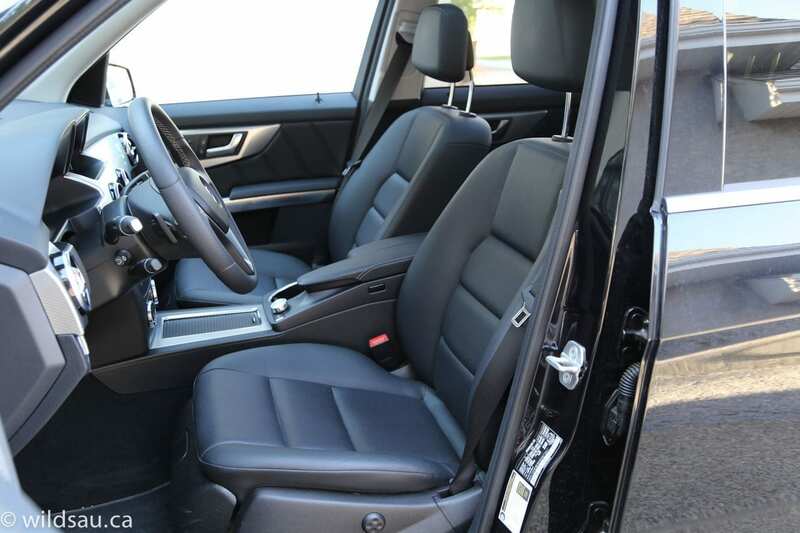 The heated seats are extremely comfortable and power-adjustable – even the headrest is powered! Both front seats have a 3-position memory setting. I would have preferred these handsome perforated leather seats to have some more bolstering for spirited driving. Ahead of you is a power-adjustable steering wheel (with controls for the media system, phone, driver information screen and handsfree functions) and behind it is a pod of 3 gauges. The center gauge, a large speedometer, contains a crisp driver information screen in the center. 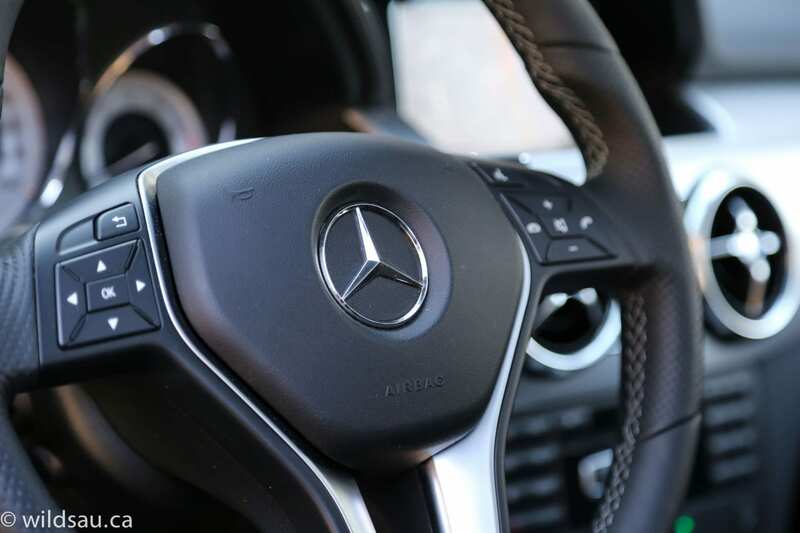 Mercedes has moved the gear selector from the console back up to the steering column, and at first it feels like you’re driving your dad’s Oldsmobile again. But it works well and makes room on the console. The center stack has another sharp, easy to read screen driven by Mercedes’ COMAND system. It handles navigation, audio, phone and video functions as well as some vehicle settings, and it’s controlled by a rotary joystick button on the console. Not the most intuitive interface, but you get used to it. The screen also handles the back-up camera, which has great trajectory lines to help you park. There are front parking sensors as well. Below the screen are some redundant hard buttons replicating the major functions on the screen and a full numeric keypad. Because that will help you focus on the road. What the?! At the bottoms of the stack is a dual-zone automatic climate control system. The console is home to two cupholders and an armrest. Headlights are automatic, the mirrors are power-folding and the key fob acts like a key – you have to stick it into a receptacle and twist it to start the car. There’s a power trunk lid, operable from the driver’s door panel or the key fob, and it can be closed with a button on the trunk lid itself. That button also lets you stop the trunk lid at any height you want it at. The second row has three seats, three seatbelts and three headrests. I found the door opening to be a bit small, making ingress and egress feel a tad cramped – especially for my big feet. Once you’re in, it’s fine. Head room is very good in the back. 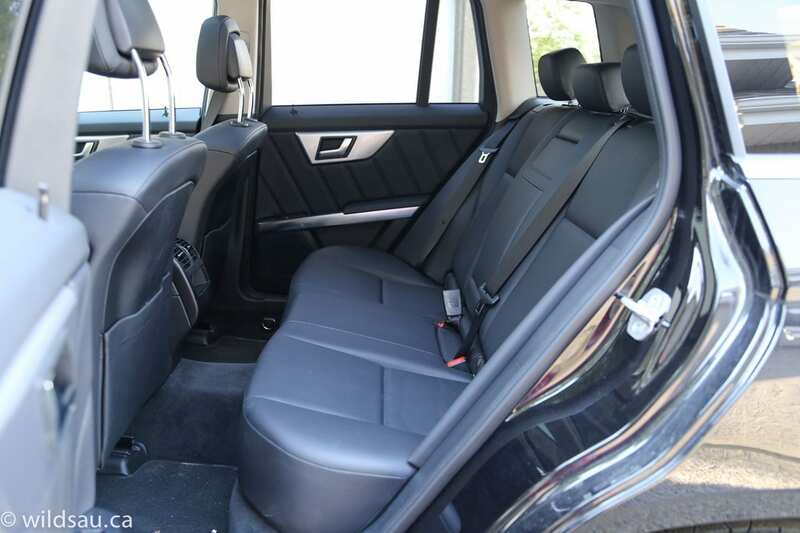 Leg room was one of the first generation GLK’s major faults. It’s acceptable here, but still nothing to arrange a parade for. I found the two outboard seating positions to be very comfortable. Although it’s narrow and hard and the foot space is messed up by a large tunnel on the floor, the middle seating position does work for adults if necessary. The rear seating area is brightened a bit by that second sunroof. There was definitely enough room for all three of our kids, and there are two sets of ISOFIX child seat mounts. Accessing them was a breeze, unlike many of the LATCH connectors out there. Rear passenger convenience comes in the form of separate dome reading lights, adjustable air vents, two seatback map pockets, a couple of tiny (read: basically useless) storage cubbies at the back of the center console and a 12V plug. The middle seatback folds down to become an armrest – it has a nice carpeted storage bin, as well as two cupholders. There are a few options here and there for cabin storage. The glove compartment is relatively small (but it’s cooled! ), the door bins aren’t great and there’s a small mesh pocket in the passenger foot well. There’s a shallow, weirdly-shaped bin in the console with a scrolling lid – thank goodness for the ashtray and true blue cigarette lighter you’ll find in there as well. The armrest’s clamshell lid splits to reveal a small but useful carpeted bin, as well as the USB and media interface plugs. Though it appears large, the trunk’s size is only decent – it offers 450 litres of room and can be covered by a removable, retractable tonneau cover. 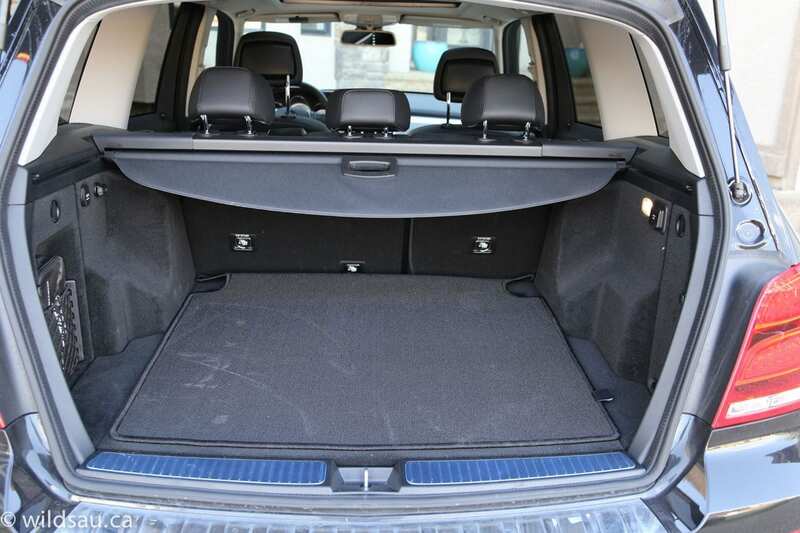 If you fold the 60/40 split rear seats down, you end up with a 1550 litre cargo space, which is quite large and will let you move a lot of stuff. I found the load floor to be quite high. There’s a bit of underfloor storage, but it’s for tiny items only. 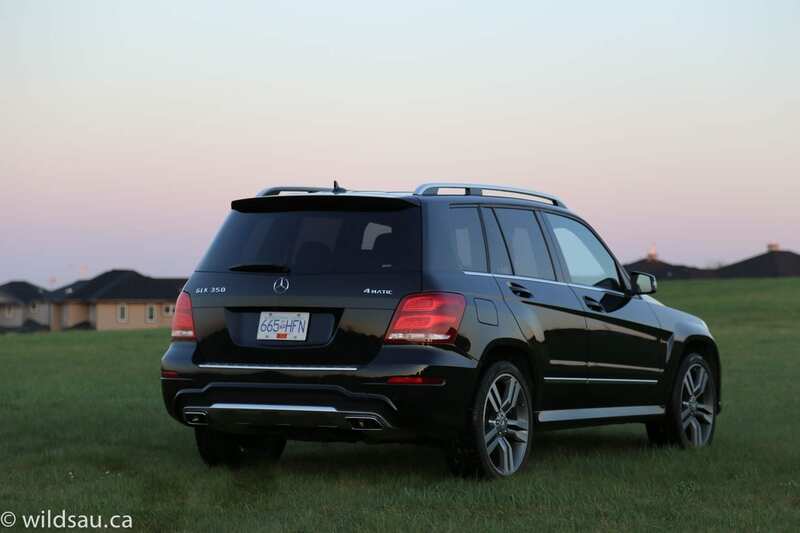 The GLK is no slouch. It is smooth off the line, and feels a bit lazy, as the transmission will immediately hunt for higher gears. It’s not slow, but it doesn’t feel as though it’s in a rush. Step on it however, and the character of the car changes. It snaps from a standing start and will rip up to higher speeds very quickly, and above 3000 RPM, it feels significantly more powerful than the old model. 0-100 km/h comes up in 6.5 seconds according to M-B, but I’ve found that it has been timed as quick as 5.8 seconds. The ride is certainly firm, but in a European kind of way. I did think it got a bit too much over rough roads and might be firmer than some would expect, but it never traipsed into harsh territory. Regular readers will know I appreciate some agility, even in bigger vehicles. The handling is quite good, and the electronic steering is dialed in nicely. 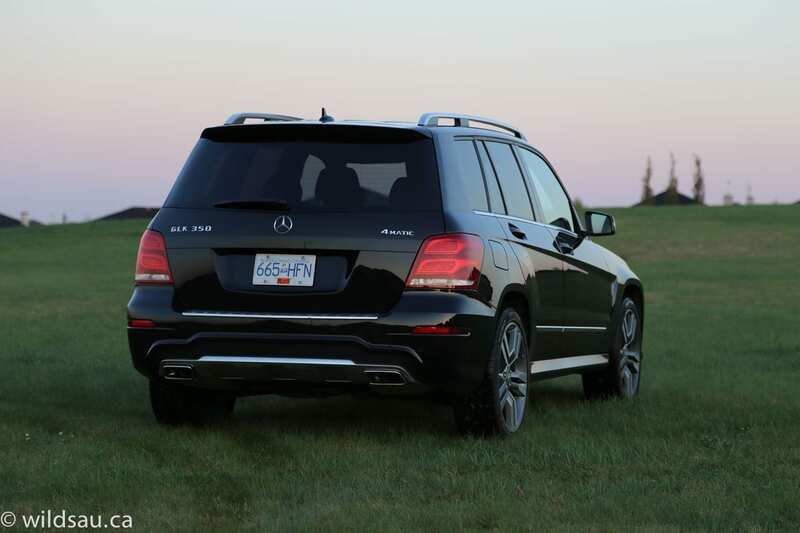 I felt the cornering abilities were excellent considering how tall this wagon is, how much ground clearance it offers, and how short the wheelbase is – sure, there’s some body lean, but the GLK responds very well to inputs from the steering wheel. 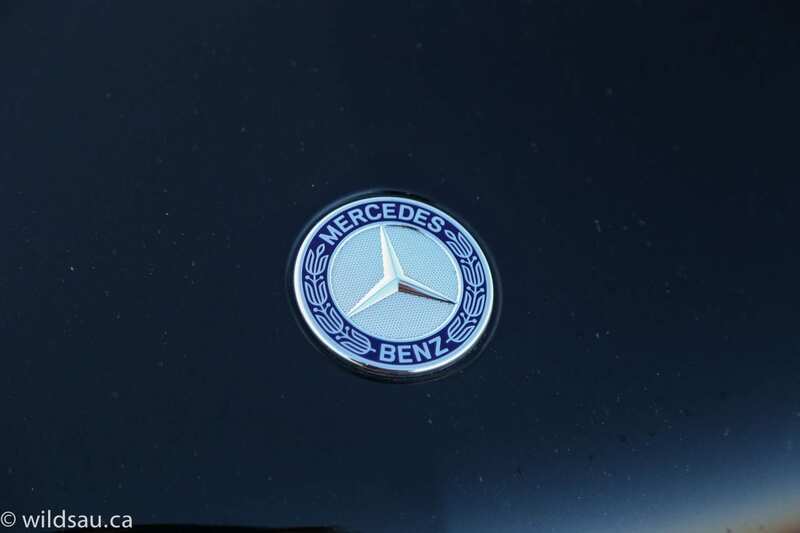 I was impressed with the exceptional smoothness of the Benz’s 7-speed automatic. It’s unflappabale in every situation. Yes, you can manually shift it with the paddles, but the shifts are slow and really add no advantage at all. If you want to drive a tad more aggressively, you’d be better off to put it in Sport mode and let the autobox do the work for you. The brakes felt powerful, even a bit grabby at times. I didn’t get a real opportunity to throw much at the all-wheel drive system, but it remained pleasantly inobtrusive during my week on dry pavement. I found the GLK to be quiet around town, with the wind noise around the A-pillars becoming quite noticeable at highway speeds. There is an ECO mode which, as far as I could tell, only activates the auto start/stop technology. It’s noticeable, but not nearly as harsh as the one in the BMW 328i. 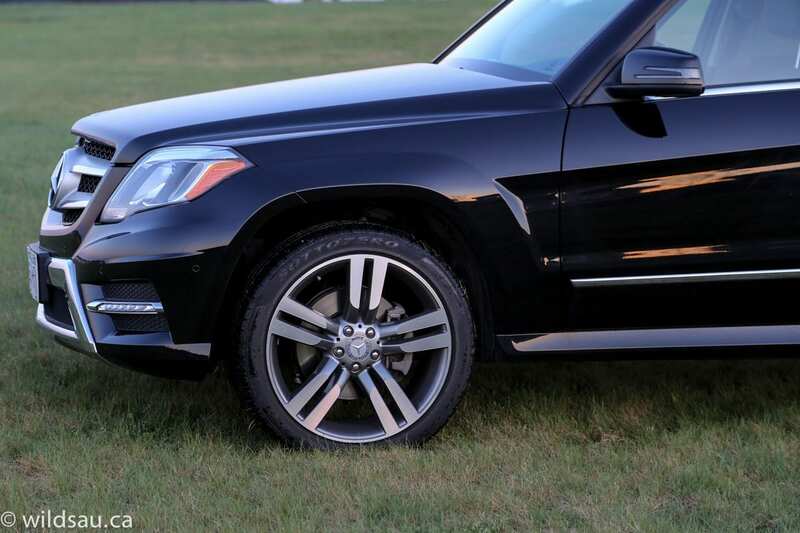 If you need to, you can actually tow with the GLK – up to a maximum of 3500 pounds. I liked the addition of heavy-duty tie-down rings in the rear foot wells. I’ve often wondered why manufacturers don’t add tie-down connectors outside of the main cargo space. Thanks Mercedes! They saw fit to add a 12V plug and a 115V household plug in the trunk – now that’s convenient and I’m not sure if I’ve ever seen that before. I found that the door sills are wide, and they are quite high relative to the floor – so it’s quite a step over them and into the car. 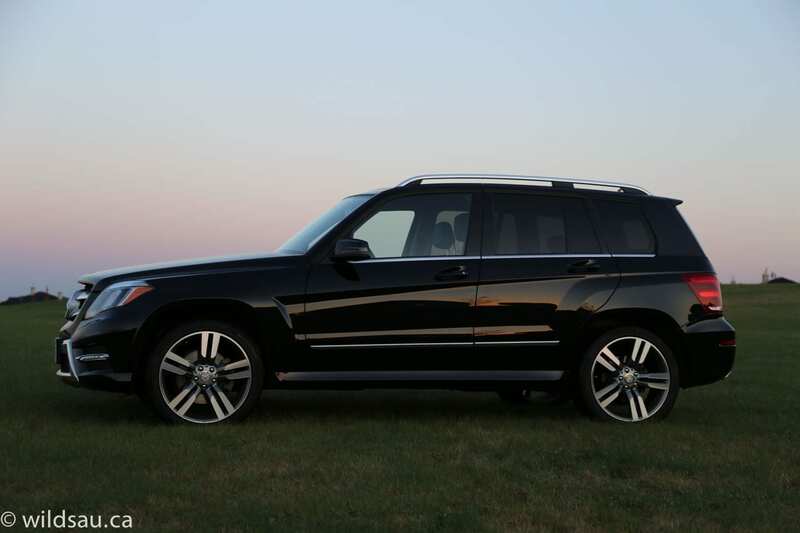 I ended up liking the GLK package very much. I am fond of the utilitarian, boxy shape and the fact that it simply looks different. I appreciate the fact that it’s a smooth performer, but has enough jam to hustle along at a rapid pace if you want to. And I liked that the interior felt luxurious and that the GLK now comes across as a premium ride, inside and out. 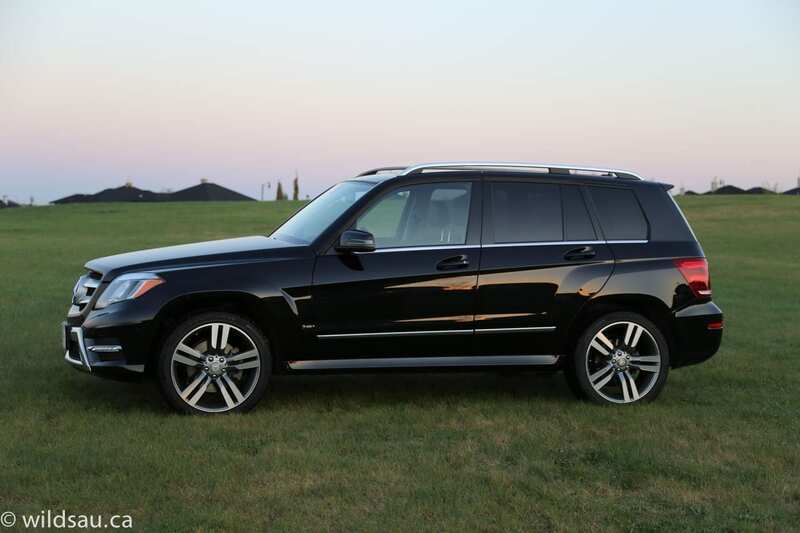 I give the GLK 350 a 7.5 out of 10. I’d love to give it an 8, but I found it just got a bit too expensive as tested. WAF (Wife Acceptance Factor) absolutely soared. She loved the looks and how it drove, and she said this might be the most perfect-sized vehicle for her. Not too big, not too small. 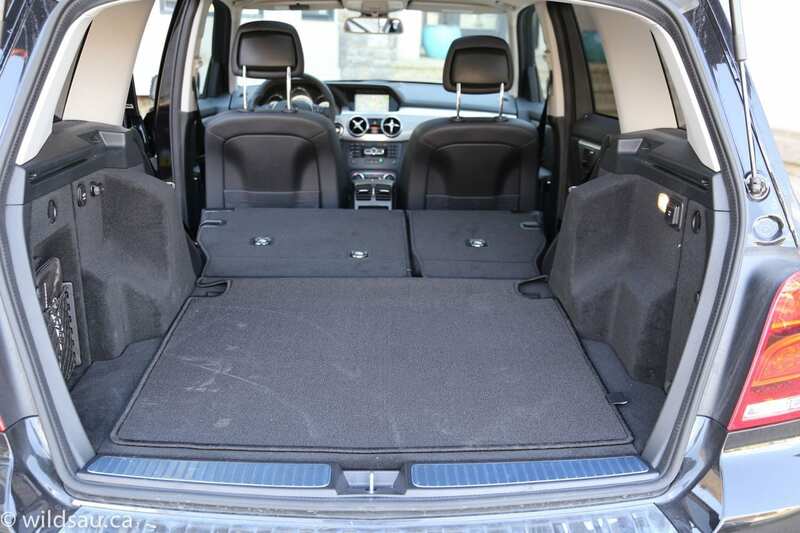 Enough trunk space, enough rear seat space for the kids, but not a pain to park or maneuver. 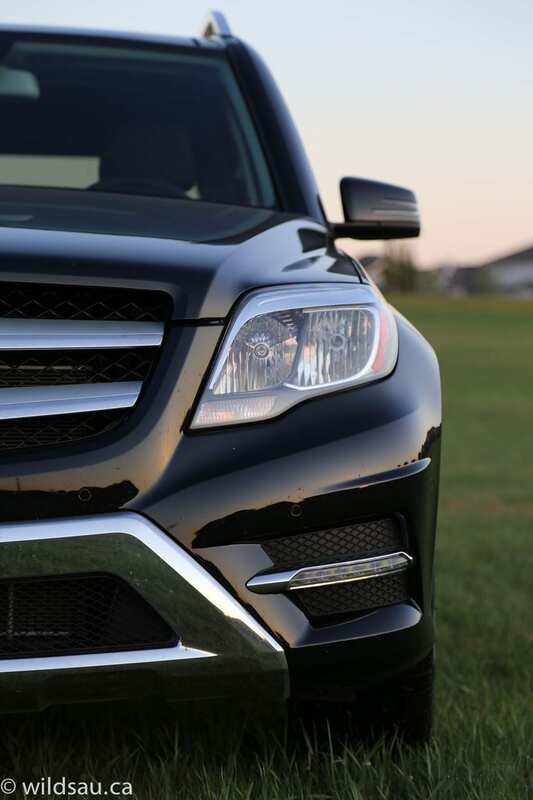 Although it is an upscale vehicle, and offers plenty of luxury, utility and performance, the GLK doesn’t hesitate to get really, really expensive as you start checking off those option boxes. If you take it easy with the option packages, you can keep the price within reason. If you’re a fan of loading up your vehicles, you might be shocked at how expensive your “entry-level” Mercedes SUV just got.